Atlanta is home to many top-notch rappers as well as a good number of up-and-coming acts. Even though their lyrics are different, they all have the same diehard mentality that keeps them pushing forward through their mixtapes, EPs, and videos. Among them is 6lack, an incredible young rapper whose music is largely based on business and personal relationship as well as issues on heartbreak. Best described as “moody hip hop artist”, the talented singer/songwriter once shared that his songwriting is influenced by his failed relationships and personal experiences he has had over the years. 6lack’s kind of music is not for everybody but there are still people who really appreciate his message and ideology. 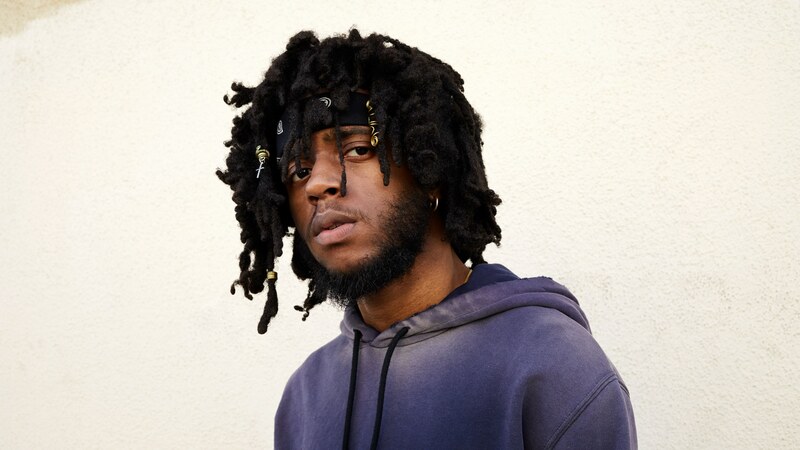 6lack is a native of Atlanta, Georgia, but he was born in Baltimore, Maryland, the U.S. on the 24th of June 1992. His original name is Ricardo Valdez Valentine, which is the name his parents gave him after his birth. He holds American citizenship and has black ancestry. 6lack was reportedly born to a father who is a rapper and studio owner and to a mom, who worked as a dentist. He has two younger siblings whose identities are yet to be revealed to the media. The rapper spent his first four years in Baltimore and later moved to Atlanta with his family at the age of five (in 1997). Valentine is said to have graduated from High School with a strong passion to pursue a career in music. He attended Valdosta State University, where he was admitted to study the basics of Computer Science. Sadly, he dropped out of college after a period of time to give his dream career a chase. He would score a deal from Flo Rida‘s IMG Strongarm label and eventually moved to Miami to start up music. The hip-hop hitmaker’s first recording experience was in his father’s studio at the age of four. 6lack used to be a battle rapper while he was in middle school. He is said to have rapped against several rappers including Young Thug. Today, he boasts a dazzling solo career which has become a major influence to young stars who would want to unleash their inner divas as well as a blueprint for budding R&B, trap, alternative R&B, and hip hop performers. This “moody” hip-hop genius debuted in 2011 and has released two wonderful albums so far. 6lack dropped his debut album titled: Free 6lack in the year 2016 while his second album East Atlanta Love Letter made its way to the music world in 2018. It was also in the same year that he embarked on his first headlining tour which he captioned ‘From East Atlanta With Love Tour’. Valentine also has a slew of nominations for himself and projects to his belt, including Best New Artist at Soul Train Music Awards (2017), Best Urban Contemporary Album for his album, Free 6lack at the 2018 Grammy Awards, Best Rap/Sung Performance for his single Prblms at the 2018 Grammy Awards, Best New R&B Artist at the 2018 iHeartRadio Music Awards, and Best Collaboration for the song OTW (feat. Khalid and Ty Dolla Sign) at Soul Train Music Awards (2018). 6lack’s song Pretty Little Fear” (feat. J. Cole) also won a nomination for Best Rap/Sung Performance for the 2019 Grammy Awards. In 2016, his first album was certified as ‘Gold’ by RIAA; after it peaked at the 5th spot on the US Rap charts. 1. 6lack works with the music label brands Interscope Records and LoveRenaissance. 2. He shares a daughter called Syx Rose Valentine, who was born in February 2017. The name of her mother is Jaycina Almond, an Afro-American model/artist. Almond became pregnant with Syx at the age of twenty. 3. The rapper is in a relationship with singer Bianca Quiñones, popularly known by her stage name Quiñ. A native of Los Angeles, she was brought up in Altadena, California, and has two younger sisters known as Blair Mahya and Bailey Rose. Bianca has also worked with artists such as G-Eazy and American singer/songwriter Erykah Badu. 4. Valentine is currently based in Atlanta. 5. 6lack’s net worth is estimated at $500,000. 6. He has a slim build, weighs 67kg or 148 lbs and stands at a height of 5 feet 10 inches or 178 cm. 7. The rapper loves wearing a bandana. 8. In 2017, 6lack was featured in a commercial for Apple Music. 9. He made his debut television appearance as himself in the year 2017 on the comedy talk show, The Late Late Show with James Corden. 10. His musical influences include T-Pain, Usher, Sade, and The-Dream.